Americans have had a longtime love affair with the automobile. You could even say it's ingrained into our national psyche. It's not surprising, then, that this industry in which 90% of fuels are fossil-based generates 27% of all U.S. greenhouse gas emissions. Fortunately, this high-carbon transportation model is being disrupted by the emergence of clean electric vehicles. In this episode we focus on EV chargers, a critically important but less-often discussed aspect of the EV revolution. 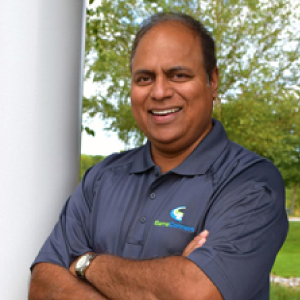 Our guest is Mahi Reddy, the founder and CEO of SemaConnect, a national EV charger manufacturing company based in Bowie, Maryland. We begin with a discussion about why and how Mahi founded SemaConnect and continue with a wide-ranging conversation about how EV charging works; what SemaConnect's business model is and how it compares with those of other EVSE (electric vehicle supply equipment) companies; how EVs—unlike some distributed generation—are a promising source of revenue for traditional utilities; the challenges of starting and running a national company in a young industry in which the policy and regulatory landscape is evolving; and how national and state policies are shaping EV investment and growth. We close with a prediction from Mahi about what the next decade will mean for electric vehicles and autonomous driving.